Recently Cynthia’s question appeared in my inbox. It reminded me that three years had passed since I last addressed the corporate status of Elvis Presley Enterprises (EPE) in this blog space. As there has been a change in the company’s ownership since then, it’s time for an update. Elvis fans concerned about the future of the Presley brand might want to take note. EPE is now in the belly of a behemoth company that values the Presley image solely as a way to make money. As things stand at the start of 2013, EPE has the potential to thrive or it could be driven out of business entirely. And there’s nothing Presley fans can do about it. Now that I have your attention, let’s update what has happened to EPE in the last three years. In January 2010, EPE was owned by CKX, Inc., a parent company created by Robert Sillerman, who had purchased 85% ownership of EPE from Lisa Marie Presley in 2004 for $100 million. The deal was for control of Elvis’s image only; Lisa Marie retained complete ownership of Graceland and its vast archives. She still owns her father’s home today, so it has not shared the fate of EPE, which has passed from hand to hand in a high stakes corporate shuffle. As a public corporation, CKX’s stock traded on the New York Stock Exchange under the symbol CKXE. I purchased 200 shares in January 2010 even though it was a risky investment at that time. The company’s stock had dropped 83% since its high of $28 per share in 2005, and Morningstar, the online stock research site, gave CKX a grade of “F” in profitability. There were some good signs, though. In addition to EPE, CKX owned the British company that produced the popular “American Idol” show and had recently acquired the rights to the name and likeness of boxing legend Muhammad Ali. EPE was also partnering with Cirque du Soleil to stage an Elvis-themed show in Las Vegas. So, at $5 a share, I figured it was a fairly safe buy. Sillerman claimed to be an Elvis fan, and as CEO of CKX he proposed a $250 million expansion of Graceland and a reshaping of the area around it. In 2010 it seemed the project was actually going to happen. According to a 2011 article in the Memphis Daily News, EPE “bought several apartment complexes west of the plaza property and north of the mansion as part of the expansion and demolished the apartment units.” Sillerman’s plans stalled, however, a victim of the U.S. economic recession, and CKX executives announced the expansion at Graceland had been put on hold. Sillerman’s corporate reputation had always been that of a wheeler-dealer buyer-and-seller. According to an Associated Press article in January 2010, “Analysts say management wants to fatten up the company (CKX), and then sell it for big profits—possibly within the next five years.” When the recession halted Sillerman’s plans to beef up EPE prior to sale, his time frame to sell the company shortened. In May 2010, Sillerman resigned as chairman and CEO of CKX. He remained the company’s biggest shareholder and continued to act as a consultant after his resignation. At the time, Sillerman announced that he wanted to try to buy CKX. With Sillerman controlling the majority of CKX’s stock, minor shareholders like me had no say in the sale. Apollo automatically purchased my CKX stock for $5.50 per share, netting me a 10% profit over the 16 months I owned the stock. Since CKX was sold outright, none of its stockholders had the option to convert their holdings into stock in Apollo. The stalled plans to expand Graceland may have contributed to Sillerman’s decision to unload CKX sooner than later, resulting in Apollo acquiring the company at a bargain price. In the first three months of 2011, CKX reported it had earned $7.2 million with a 20 percent drop in revenue. 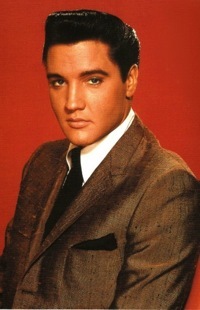 The quarterly report indicated that the Viva Elvis! Cirque du Soleil show in Las Vegas, which earned CKX $3.2 million in revenue and royalties for the three-month period, was the company’s most profitable enterprise. So what do we know about the corporation that now owns Elvis Presley Enterprises? Apollo Global Management was co-founded in 1990 by Leon Black, now Apollo chairman of the board and CEO, and senior managing directors Joshua Harris and Marc Rowan. All three men have backgrounds in corporate mergers and company buyouts. Apollo Global is a private equity company. In simple terms, that means they make money by buying established companies and selling them later at a profit. According to Apollo’s website, it currently manages over $65 billion worth of properties worldwide. Among the most notable companies that Apollo currently owns are AMC Entertainment, Caesars Entertainment Corporation, Norwegian Cruise Lines, Coldwell Banker, and Century 21 Real Estate. Amidst those and other corporate giants owned by Apollo, CKX and Elvis Presley Enterprises comprise but a drop in their bucket. • Could EPE really go out of business? Now, what about my inference at the start of this blog that Apollo’s ownership could result in Elvis Presley Enterprises going out of business? That’s a possible consequence of how Apollo financed its purchase of CKX. It used what’s called a “leveraged buyout,” which means that Apollo borrowed the $509 million to buy CKX, specifically from Goldman Sachs Bank. While Apollo’s worker bees pour over CKX’s financial statements looking for ways to make the company more profitable for future sale, CKX’s ongoing profits will be used to pay the interest on the bank loan. The danger, then, is that should CKX not make sufficient profits over time to make the interest payments, Apollo could default on the loan and send CKX, and EPE along with it, into bankruptcy and foreclosure. That scenario is very unlikely, however, since private equity companies like Apollo invest solely in established companies where the chance of failure in 3-5 years is near zero. So what does the future hold for Elvis Presley Enterprises? Apollo Management will likely take steps to streamline the company and make it more efficient and profitable. That could mean layoffs, management restructuring, and the shutting down of unprofitable ventures. New potentially profitable enterprises will be encouraged. For instance, Digital Domain Media Group has announced its interest in creating a digital hologram of Elvis. It would make him seem to appear live on stage rather than just on screen during the Presley stage show that has toured the U.S. and Europe over the past few years. Digital Domain’s digital hologram of the late Tupac Shakur startled an audience at the Coachella Music Festival in June 2012. At some time during the next five years or so, Apollo will most likely sell EPE, along with the other CKX companies, for more than its original $509 million investment. Apollo will then pay off the bank loan it took out to buy CKX, pocket the profit, and move on to find other companies to purchase and flip in the same way. EPE will probably end up in the portfolio of another private equity conglomerate, unless a small investor group surfaces to purchase the Presley brand and run it themselves. With Elvis Presley Enterprises out of his family’s hands, it is being tossed around like the ball in a game of corporate football. Elvis fans can take solace in that his image has remained in the same capable management hands throughout it all. Jack Soden, the president of EPE, remains in the position he’s held for more than 30 years. As long as he’s allowed to continue running the day-to-day operations at EPE, his respect for the Presley brand should keep it on sound financial ground, regardless of which conglomerate happens to own the company. The answer to Cynthia’s question is no, she can’t buy stock in Elvis Presley Enterprises, at least not directly. She could, however, indirectly own a piece of EPE by purchasing stock in Apollo Global Management, which trades on the New York Stock Exchange under the designation APO. It would be a very, very small piece, though, assuming that Cynthia, like most Elvis fans, would only be able to invest a modest sum. Consider this. At the time it purchased CKX in 2011, Apollo Global managed over $65 billion worth of properties and other investments worldwide. The $509 million it paid for CKX amounted to only three-quarters of one percent of Apollo’s total holdings. That means that if Cynthia purchased $1,000 worth of Apollo stock, only $7.83 of her investment would represent her share of ownership in CKX. Her stake in EPE would be even less than that, since the CKX package includes several other companies in addition to EPE. "EPE is now in the belly of a behemoth company that values the Presley image solely as a way to make money."